“That the trappers and their lives continue to fascinate us is in no small part a testimony to the enduring worth of The American Fur Trade of the Far West….After almost a century it is still readable, still challenging, still a spark to the imagination.” James P. Ronda, author of Lewis and Clark among the Indians. 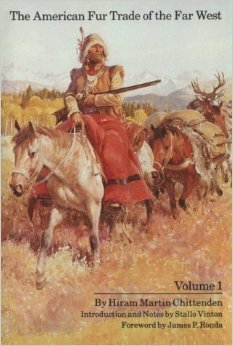 Hiram Chittenden brought to this enduring work an appreciation of geography and a feeling for the lives and times of colorful trappers and mountain men like Manuel Lisa, William H. Ashley, the Sublette brothers, Jedediah Smith, Jim Bridger, and Kenneth McKenzie. He provided a comprehensive view of the fur trade that still remains sound. Volume 1 of the Bison Books edition includes the organization and financing of the fur trade and a detailed history of the major American companies operating in the trans-Mississippi West to the year 1843.